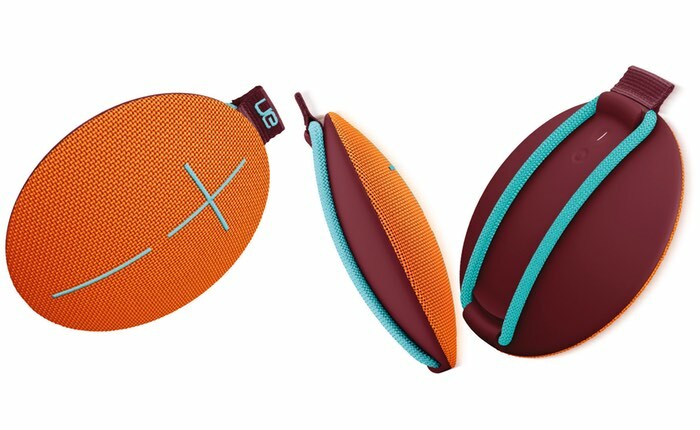 Logitech has today announced the launch of their new Logitech Ultimate Ears Roll 2 speakers which build on the technology and design of the original speakers and the UE BOOM which was originally launched back in 2013. The latest Ultimate Ears Roll 2 take the form of Bluetooth speakers that offer 15 percent more sound together with an increased wireless range of 100 feet while keeping the design and compact form factor the same. The Ultimate Ears Roll 2 will be available to purchase throughout Europe and the US later this month and will be priced at around $100. Charlotte Johs, general manager of Ultimate Ears explain more In today’s press release. Thanks to its bungee cord loop, UE ROLL was our most portable, convenient, on-the-go speaker in the family. – No other speaker comes with everything you need to hang it in the shower, float it in the pool or attach it to your bike. UE ROLL 2 delivers all that and more, with improved sound and wireless range, so you can do more of what you love with even more freedom and flexibility. UE ROLL 2 is meant to go with you on your next adventure. Equipped with a bungee cord loop, this already small and light speaker is portable and versatile. You can attach it to your backpack, belt loop or bike, so you can take it anywhere and never be without music. It’s waterproof (IPX7 certified), drop-proof and built to withstand a beat up, all while delivering epic sound in the palm of your hand.